The Ghanaian capital of Accra is expected to add dollar millionaires at the fastest rate of any African city over the next decade, as a stable political regime and developed banking system help boost financial services, telecommunications and property development. The number of people with net assets, excluding their primary residence, of more than $1 million will surge by 78% to 4,100 individuals in Accra by 2025, according to an AfrAsia Bank New World Wealth report into African cities published Wednesday. The number of millionaires in Nairobi, the Kenyan capital, will climb 71%, while those in the Nigerian city of Lagos, Africa’s biggest, will advance 46%. “Ghana has one of the best developed banking systems in Africa,” Andrew Amoils, an analyst at Johannesburg-based New World, said in an e-mailed response to questions. “It also has a strong free media and a competitive political structure, unlike most other African countries.” Accra’s expansion of wealthy people will also be spurred by “significant growth” in media and healthcare, he said. Johannesburg is the African city with the most millionaires in 2015 and is expected to retain that position with a 39% surge to 32,600 over the next decade. The South African city, which has the continent’s largest stock exchange and more entrepreneurs than anywhere else in Africa, has more than twice as many millionaires as Cairo, which is second on the 2015 list at 10,200 individuals. Only cities with a minimum of 2,000 millionaires were included in the report. There are about dollar 163,000 millionaires living in Africa as of June 2015, with combined wealth of $670 billion, according to the report. 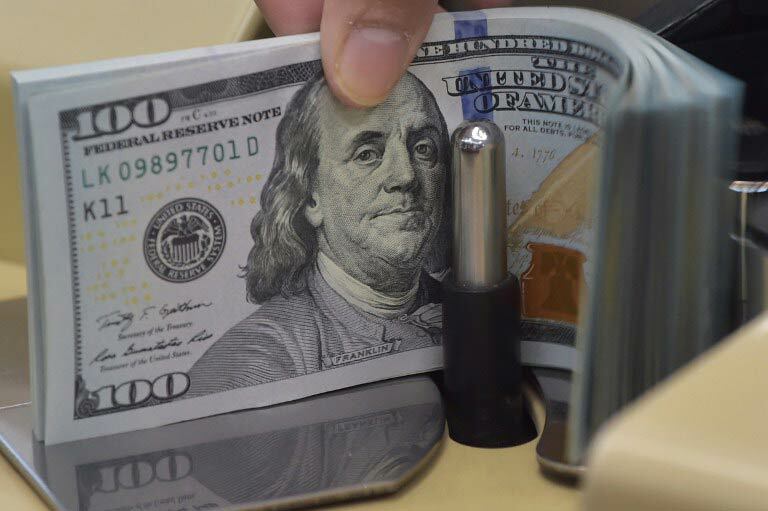 According to Africa’s biggest lender Standard Bank Group, the number of dollar millionaires in Kenya will grow at more than double the global rate over the next decade. Kenya currently has about 8,700 millionaires out of 18 million globally. Early last month, the Johannesburg-based research company New World Wealth said Mozambique is the country expected to add dollar millionaires at the fastest rate in Africa over the next decade followed by Ivory Coast and Zambia. Although their absolute numbers will still be fewer than those of the other countries on the leaderboard, the number of people with net assets, excluding their primary residence, of more than $1 million will surge 120% in Mozambique by 2024 to 2,200, the firm predicted. The number of millionaires in Ivory Coast will jump 109% to 4,800 while those in Zambia will double, the company forecast. South Africa currently has 46,800 millionaires, and Egypt 20,200, but growth in the numbers of the rich have been held back by emigration from a stuttering economy in South Africa and instability in Egypt. Still, South Africa is expected to remain home to most of the continent’s wealthy, with their numbers rising 40% in the next decade to 65,700. According to the Knight Frank LLP’s Wealth Report 2015, the pace will be even faster, with the number of millionaires in Africa increasing by 54% over the next decade compared with 31% across the rest of the world. In Ethiopia, the number of ultra-high-net-worth individuals, defined by Knight Frank as those who earn more than $30 million a year, is forecast to double to 2,600 by 2024, according to the report. The total wealth held by UHNWIs last year on the continent was $200 billion of the $20.8 trillion they hold in total globally. 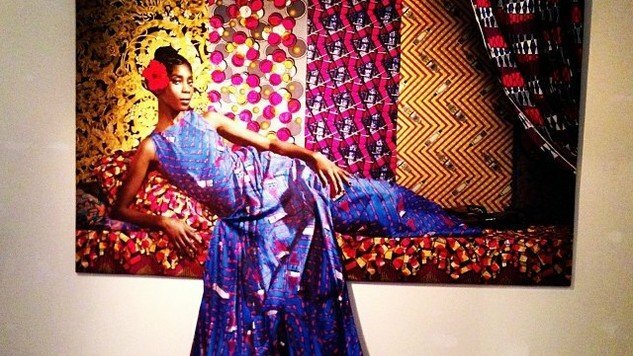 Art in Fashion exhibition in Germancy, featuring Vlisco fabric in the photo and draped on the picture. (Photo: Flickr/Marcdubach). African central banks are currently burning through their foreign reserves at a rate faster than any other in the region in a bid to shore up their currencies, but going by recent events in Asia, they are likely to soon throw in the towel and relinquish control of their exchange rates altogether. Thursday’s move by Kazakhstan, central Asia’s largest crude exporter, to abandon its currency peg has intensified speculation that authorities in Africa will devalue or halt intervening in their foreign-exchange markets. Commodity-dependent nations such as Zambia and Ghana are struggling to cope with currency declines of more than 20% against the dollar since January, as global commodity prices tank. Bloomberg’s Commodity Index tumbled to its lowest this week since 2002; South Africa’s rand touched 13 to the dollar this week for the first time in 14 years. Gold is traditionally the investment of refuge when currencies are volatile, but this year, even gold has not been spared the commodity plunge. Still, beyond the doom and gloom, there are still some opportunities to shield your savings from being decimated. The sari is the most recognisable traditional Indian dress for women. It’s six yards of rectangular cloth, often brightly coloured and elaborately embroidered. The sari is an important part of Indian culture, worn by grown women who have come into their own, writes Shikha Dalmia in Forbes. Africa has a large Indian diaspora, particularly in the east and south of the continent. Increasing “westernisation” is often feared to signal the demise of traditional attire, but this is rarely the case. Instead, traditional garments actually become more elaborate and expensive, because they are now only worn on special occasions. Some saris are even embroidered with real gold thread and rough diamonds, and can retail for up to $10,000. According to one online retailer, the margins for selling saris online can go up to 200% compared to 60% in general clothing and apparel. What we loosely refer to as “African fabric” goes by different names around the continent, but it is recognisable by its bright colours, bold patterns, and boxy geometrical designs. The most successful brand in the market is Vlisco; the Dutch company was acquired by British private equity firm Actis in 2010 for $151 million, and has transitioned from a retailer of fabric to a fully-fledged fashion house, releasing 20 to 30 designs every few months to outpace the Chinese imitations that have encroached the market. As is the case with saris, “westernisation” makes jeans, trousers, shirts and blouses everyday attire, so African fabric such as Vlisco’s increases in status and desirability – more so the “original” wax print – used to make elaborate outfits for church on Sunday, gifts for relatives, or, simply to hoard. Vlisco has been retailing in Africa for more than 100 years, and has survived all kinds of turbulence in Africa’s political and economic history. In 2011, Africa generated 95% of Vlisco’s $250 million in net sales that year. Whisky for sale in Edinburgh. (Photo/Petyo Ivanov/Flickr). If you’re willing to wait a few years for your investment to mature, whiskies are known to fetch extremely high prices at auctions across the globe – particularly rare blends from renowned distilleries. According to the Investment Grade Scotch index that is compiled by UK-based Whisky Highland, the top 100 whiskies appreciated by an average of 440% in the last six years. By contrast, the Standard & Poor’s 500 stock index increased by 31% in the same period, and the Live-ex Fine Wine 100 Index dropped by 2%. And it’s not only “old” whiskys that are valuable. The tip for an investor is to buy a limited edition whisky – particularly those that are a run of less than 10,000 bottles. It means that there are very few bottles of that particular blend around. That’s what makes them valuable. For example, InsidersEdge.co.uk highlights Tun 1401, which was a limited edition release from a distillery called The Balvenie in Scotland just a few years ago. It retailed for £150 per bottle, and can now be sold for anything up to £2,000 a bottle – a 1,233% profit margin. The most expensive whisky in the world is known as “The Constantine” from Macallan distillery in Scotland, according to CNN Money. In January, Sotheby’s sold a six-litre decanter of Macallan M for $631,000. In May, a 50-year-old bottle of Japanese Yamazaki single malt sold for $33,000. These transactions are becoming relatively frequent, if not commonplace. Indeed, Whisky Highland expects 30,000 rare, expensive bottles to be sold at auction this year, a 50% increase on the 20,211 that were sold in 2013. Construction site in Ethiopia. (Photo/Simon Davis/DFID/Flickr). Africa is one of the world’s fastest urbanising regions. In 2000, one in three Africans lived in a city; by 2030, one in two will do so. It means that the construction sector and industries that support those activities are bound to be in high demand. Cement is one example. Old Mutual Investment Group’s African Equities Manager Cavan Osborne says Lafarge, South Africa’s PPC and Nigeria’s Dangote are all cement companies that have a strong footprint on the continent and are investment options worth considering. “Everyone in the world wants to have a house, and if they already have one they want a nicer or a bigger one. That’s what makes cement such an attractive prospect,” said Osborne. School laptops in Nigeria. (Photo/Carlos Gomez Monroy). Africa is the only continent in the world that is still growing, while the rest are aging. More than half the world’s growth between now and 2050 will be in Africa. Six in every ten Africans are aged under 24 years—the youngest population of any region globally. If the right policies are drawn up, this sets the continent up for a big “demographic dividend” windfall, as workers outstrip the number of dependents. But for that to happen, these young workers have to acquire the necessary skills, and this means that post-secondary education will be in high demand. The gold standard of post-secondary education in Africa is usually a university, conferring an academic degree. But training and technical colleges – though marginalised in Africa – are likely to make a comeback as they are a quick win for African economies striving to take advantage of the estimated 85 million jobs in light manufacturing will be up for grabs in the next few years as wages and manufacturing costs rise in China. View of Kisumu, Kenya’s third largest city, from Riat Hills on the outskirts of the city. (Photo/Victor Ochieng). If you don’t have enough money for diamond-encrusted saris and 50-year-old whisky, don’t despair. In Africa, you can’t go bad with good old land, particularly if you head out to smaller cities and towns where your initial investment is likely to be lower than in the main capital city. At a South African church rightly called “Incredible Happenings”, the pastor believes that he can exorcise demons from his female followers by sticking his fingers in their private parts in full view of his congregation. In a popular church based in Nigeria – where 84 people died after the collapse of one of the church buildings – the presiding pastor has convinced many followers that the tragedy was the devil’s work, a manifestation of a spiritual warfare between God and Satan. The sighting of a plane on the overfly ahead was offered as justification, even as an official (if earthly) probe found the building flouted basic construction standards. Many followers agree with this rationale, and back the thinking that those who died needlessly are martyrs. In Pretoria, at the aptly-named “End Times Disciple ministries”, the pastor regularly serves up snakes to his congregants to eat, pledging they will turn into chocolate. Many oblige and lap it up. In Kenya a flashy “pastor” on national television admitted swindling his congregation, with the defence that they were not coerced. He is now a celebrity of sorts. Such happenings are to be found all over Africa, where congregations often blindly act on the leadership’s instructions, few challenging them. They faithfully queue to buy miracle oils, and the women even sleep with pastors so that they may be impregnated with the Holy Spirit. Have we Africans become so desperate for miracles, that any odd John can introduce himself as a “man of God”, patent it and have no one question him or her at all? Religious and spiritual beliefs on these shores tend to be personal and very subjective, which should be no surprise. It is one of those topics that most give a wide berth, for fear of offending people or the deities they feel they owe their existence and good fortune to. Like the rest of the world, Africa has seen its beliefs systems and religious practices evolve over time, be it African spirituality in the form of ancestral beliefs and worship, to Islam, Christianity and many others. In many instances, though not in all, the church has contributed in building healthy societies, including through advancing education for both the young and old, offering healthcare and in developing skills. They have also supported community building and social cohesion in many African countries, where they tend to be big players. The church is further seen as the custodian of morality, ensuring that human conduct remains on the straight and narrow. But there is the downside. Human rights have been, and continue to be, abused in the name of religion. One example is the marginalisation or abuse of women, children and homosexuals, with Bible scriptures invoked as justification of such injustices. It is interesting to watch how the structure and the function of the church has changed so dramatically over the past few years, especially within black communities. The Catholic, Anglican, and Apostolic faith-based churches historically enjoyed a large following within African communities. That has to some degree changed, with an explosion of evangelical churches across the continent. Evangelical or “Born Again” churches have sprouted everywhere in Africa, some well structured and headed by solid leadership, others run as highly profitable enterprises by self-proclaimed prophets, who to their congregations still qualify as “Men and Women of God”. Many are run almost as if they were insurance companies owning sanctimonious spiritual powers, playing on the hopes and fears of their followers, in exchange for generous tithes. It would be wrong to tar all with the same brush, but some of the practices their followers are subjected to in the search for miraculous healing and prosperity pose the question: Are their adherents still able to independently think for themselves outside of the indoctrination that goes on in some of these churches? The evidence is that the greatest beneficiaries of these miracles are the owners, who get richer as their poor and desperate congregations continue to await the promise of healing, prosperity, and blessings, in forms ranging from husbands to miraculous conceptions. Question then is, at what point does it all end? Where exactly does God feature? Has strife and suffering reduced we Africans to a people that willingly abandon all logic and sense, and allow ourselves to be stripped of our dignity by our “Brothers and Sisters in Christ”, all in the name of miracles and quick fixes to life’s challenges? It is overly simplistic and patronising to assume that the suffering and poor are lazy and only seek quick fixes – on the contrary, people of all inclinations toil daily to put some put bread on the table. But let’s face it, life is tough and can be cruel. And the real reason people suffer is due to the myriad of social ills and the venal leadership of many of our governments. Africans have lost faith in many of our religious and political structures and are now seeking solutions from alternative sources. Those that claim to be connected directly to God are very conscious of this fact, capitalising on the increased hopelessness. How can we see this manipulation for what it is, and stop the perpetuation of our own misery? For those that believe in a God, at what point do we do a one-on-one conversation to get the answers we seek, or does He only hear the prayers of a select few? The truth is that self-proclaimed “prophets” or “men and women of God” also want better lives for themselves and will continue to happily milk people’s hopes and fears. Religion alone will not lift us. We need to build educational and financial institutions that will allow us to reach our true potential individually and collectively. Maybe in this way we can have faith in ourselves and stop looking to others to intervene on our behalf. When you think of an African farmer, the first image that will probably come to mind is that of an old man in the village, probably dressed in shabby clothes that have seen better days. Indeed, a recent report by the Food and Agriculture Organisation (FAO) indicated that in Africa, the average age of farmers is about 60, despite the fact that 60% of Africa’s population is under 24 years of age. Rural youth have been leaving the farms for cities in droves for years now; between 1960 and 2010, the continent’s urban population grew from 53 million to 400 million; by 2030, the number of Africans living in towns and cities will increase by another 345 million. With aged parents left behind tending the farm, it raises questions about future prospects for increasing farm productivity as Africa’s demand for food grows larger. However, there is some good news; there’s a new generation of farmers coming up in many cities who represent the future of African farming. They are young, tech-savvy, resident in the city, probably employed full-time in an office job, but own some land in a peri-urban or rural area that they inherited from their parents, or bought as an investment. They travel to their out-of-town farms only on weekends, hiring a farm manager to take care of the everyday running of the farm, and frequently telephoning to check on progress. With demand for fruits, vegetables, meat, milk and eggs soaring as African cities grow larger, it’s a solid investment that can give lucrative returns. But many ‘telephone farmers’ struggle to keep up with what’s really happening on the ground. This is where IBM Research Africa sees and opportunity, with a new innovation they call EZ-Farm. It’s a nifty combination of a soil moisture sensor, a water tank level monitor and – best of all – an infrared camera that monitors plant health. The soil moisture sensor looks like an electrode that is placed in the ground, and sends data to the IBM cloud on the level of water availability. The water tank monitor is installed on the inside cover of a water tank, and measures the level of water still in the tank by acoustic waves, like what bats use in echolocation. It sends out a sound wave and detects how long it takes to be reflected back, by this you can gauge how deep the water is in the tank. But the “killer app” is the plant health monitor that uses infrared light to monitor soil health. Plants absorb red and blue light to fuel photosynthesis, but reflect green and infrared light (it’s the reason why plants look green to our eyes). With the infrared camera, one can detect the areas in the plant of intense photosynthesis, where blue light is being absorbed and infrared light reflected. If the plant isn’t getting enough water, or is stressed in any way, photosynthesis will slow down, and less infrared light will be reflected. By this, a farmer can really “see” whether the plants are coming along nicely, or not,; like a finger on a pulse, it’s a kind of vegetative “vital sign” that can provide an early warning if a plant’s health is failing – even if your farm manager or relative in the countryside doesn’t call to tell you. All this Big Data is collected every minute of every day, and sent to the IBM cloud, where it delivers up-to-the-minute insight about current and predicted water and soil moisture levels to farmers, via desktop and mobile apps – specific to that particular farm, going by the “optimum health” from the plant stress monitor. It’s the kind of granular, highly targeted and tech-friendly farm management system that telephone farmers in Nairobi are already scrambling to get their hands on. IBM says EZ-farm is still in the pilot phase, though they have already received dozens of requests. The company is looking to have the devices assembled locally in Kenya, but their biggest challenge going forward is finding a local manufacturer who can deliver on the specs in the large volumes that will be required very soon. If Africa is rising, why are so many running away? 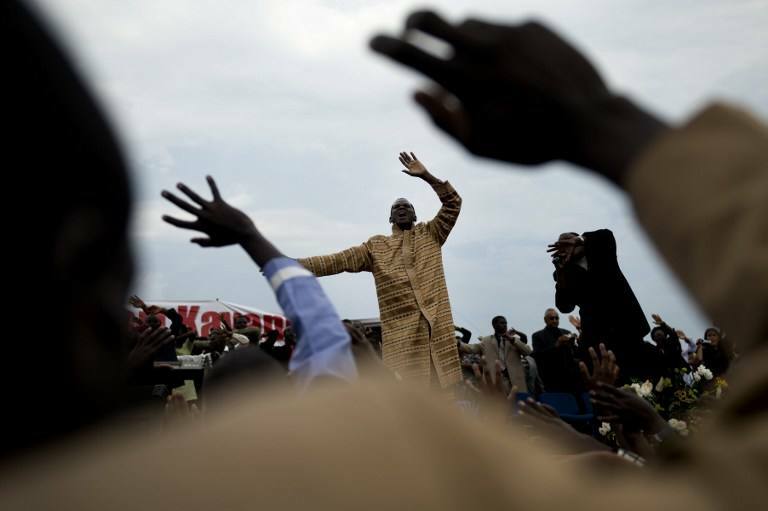 “It is time to accept the reality that the ebb and flow of human movement cannot be stopped,” Annan tweeted. 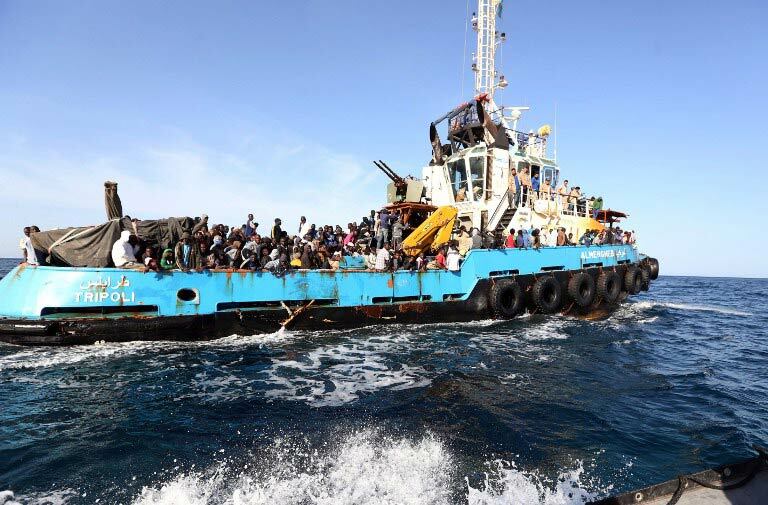 More than 1 750 migrants, mostly from West Africa and North Africa and some parts of the Middle East have perished in the Mediterranean Sea since the beginning of the year, attempting to seek “greener pastures” in Europe. According to the International Organisation for Migration (IOM), this number is more than 30 times higher than that recorded during the corresponding period in 2014. As the rosy narratives about Africa’s economic growth and burgeoning middle class are vigorously exchanged at talk-shops, the question begs; what would cause thousands to abandon their homes, families and put their lives at risk at sea, facing the risks potential of shipwrecks and possible human trafficking? The answer lies in an honest and frank assessment of what they are running from in their home countries – poverty, war, disease and economic distress, and sometimes most of all, lack of social mobility, or at least the belief that you can make something better of yourself. For many of these migrants, distant lands across the high seas offer potential comfort and the promise for a better future, not only for them, but also for the loved ones left behind. But this perception of these “greener pastures” often turn into nightmares, as most of those immigrants from Africa who manage to make it to Europe, particularly in the austerity-gripped south, fail to get jobs, an income, decent shelter and thus have to live in squalid conditions. Some pay as much as $10 000 for this voyage from Africa to Europe, riddled with uncertainty, and the threat of being defrauded, kidnapped, or shipwrecked. This just illustrates the desperation these migrants have, which drives them to such risky lengths. 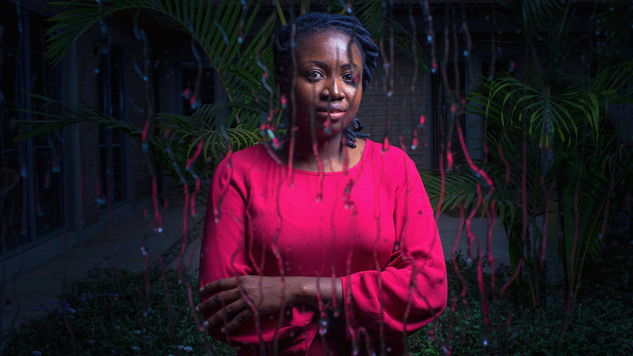 Moving away from the boat crises, recently, South Africa, Africa’s most developed economy and second largest after Nigeria, witnessed xenophobic attacks on foreigners who have settled in the country over the years. Most of these immigrants are from countries such as Zimbabwe, Mozambique, Ethiopia and Nigeria; attracted by the “bright lights” of South Africa and have sought to make a living for themselves. And it has not been easy for them; often enduring waves of xenophobic attacks, first in 2008 and more recently this year, attacks so vicious that a man was stabbed to death in full view of cameras in a street. Still, they choose to stay put even in such hostile conditions and forego the option of returning to their home countries. In light of these and many more similar unfortunate events, the world has seen how disjointed the global response to the thorny issue of migrants has been. There has been stand-offs between countries that has even put strains on some diplomatic relations. In effect, the issue of migrants brings to the fore certain truths that may be unpalatable to some, especially, the more advanced economies. Countries now must be concerned with what happens across their borders, as recent events show just how easy crises in one country can be exported to others in the form of illegal immigrants. 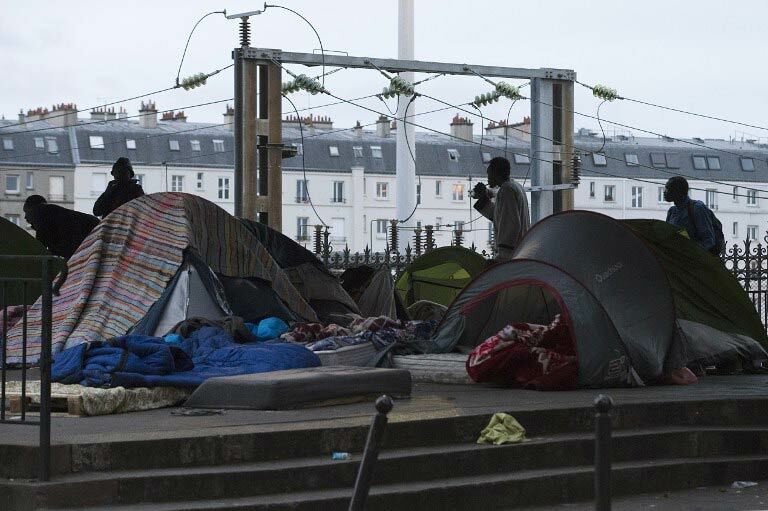 In severely depressed economies with suppressed democracies, many people are now voting with their feet; deserting their home countries and making abode in foreign lands. Upon settling in foreign lands, often, migrants are more inclined to accept lower wages for work, to the obvious discontent of natives in their adopted countries. This calls for countries to hold each other accountable for the way leaders manage their countries in a mutually responsible manner, as the problems in one jurisdiction could potentially become another country’s problems too, if recent immigrant trends are anything to go by. Simply stated, it is in the best interest of the developed nations to help ensure that the less developed countries continue growing in a sustainable manner, offering opportunity for all citizens. An en masse migration invariably puts a strain on the social and economic structures of the receiving countries, and if unattended to, this could likely be a hotbed for future conflict. Well-functioning countries which offer an equal shot for everyone to work and earn a living, which also guarantee rule of law and offer citizens suffrage would certainly make headway in addressing the root cause of migrant crisis, not just for Africa, but in the global context. As European ministers scramble to come up with a holistic strategy to address the growing crisis of illegal migrants, Africa too would do well to take a cue from this and introspect deeply into why many of its children leave its shores for distant lands. Yes, Africa is rising but is this much vaunted economic growth all-encompassing and inclusive? Judging from the desperation that drives most to put their lives at risk crossing the seas to a ‘better’ future elsewhere, the answer is a resounding no. This post by Perry Munzwembiri was first published on MG Africa.